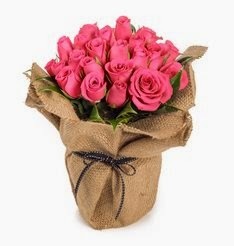 Win Fresh Flowers for Mothers Day thanks to freshflowers.com.au! Nothing says "I Love You" on Mothers Day quite like a fresh bunch of flowers (hint, hint hubby!). So I am very excited to be able to offer up one lucky Utterly Organised reader the chance to win themselves a very special bouquet from freshflowers.com.au for their special Mum/Grandmother/Aunty/Mother in Law/Special woman or themselves (!) for Mothers Day this year. Did I mention that you get to choose any bouquet up to $70 in value and that these will be delivered with your special message for you too?! I know - amazing little giveaway! As I have mentioned previously on my blog, I love a phalaenopsis orchid around the home so no guesses as to what I would pick! You can check out the rest of the Mothers Day range right here. Entry is super simple by following the Rafflcopter prompts below. Important: Entrants MUST make comment in the comments section below, stating which of the Mothers Day bouquets they would select from the range (which can be viewed here) and why. 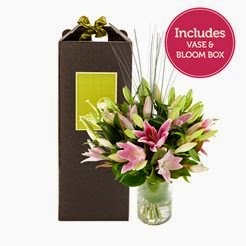 Please note that freshflowers.com.au do deliver Australia wide in certain locations, to ensure that you (or your recipient) are part of the delivery range, please check under the 'Do we deliver in your area' tab at the top of the home page here before entering. Love the beautiful range of flowers. Loving the pink vogue lillies. All so beautiful! I love the beautiful bunch of roses, they always give me the feeling of love and happiness. It'd be a splendid Mother's Day surprise!! Oooh, the pink birthday cupcake. And considering how absolutely beautiful it is it's not terribly expensive! Lilies - In Vogue White In Glass Vase. She loves classic styles (the vase is an elegant touch). She's had a hard few months so I'd love to surprise her with these. No question, the purple phaleonopsis orchid! Elegant and it lasts far longer than a traditional bouquet so it really is the gift that keeps on giving. The Oriental Lillies in Vogue Pink would be very lovely. My mum would be really happy to receive it if I am lucky to win this. She loves the gorgeous lillies & the beautiful smell. Tulips - Vivid In Glass Vase. My Mum loves her tulips and she loves gifts that last, and that vase will last for a long time! Roses - Sweet Delight, they're really pretty and I think will smell equally as delightful - Di. Ok hoping third times the charm....comments keep vanishing when I hit publish. LILIES - In Vogue Pink In Glass Vase - Favourite flowers, favourite colour, heavenly scent and a recyclable vase... What WON'T Mum love about these?!!! Country Roses - Beautifully wrapped in signature hessian and black and white stitch ribbon. I'd love to be able to gift the Purple Phalaenopsis Orchid, the gift that is beautiful and just keeps on giving, just like my mum. I'd love the vivid tulips please - I'm still a fairly new Australian and the spring flowers, particularly tulips are one thing I miss from my old life in the UK. The Tulips - Vivid In Glass Vase. Tulips were my mothers favourite flowers, and I'd love these in memory of her. Roses - Sweet Delight, because they are just beautiful! MAKING EURO "GRANDEUR" PERFECT FOR SURE!! Entering on behalf of my 12 year old son for his mum, (my beautiful wife), and he's selected "Lilies - In Vogue White In Glass Vase" for her because he says that she's been asking for Lilies "forever" and I've never bought her any so he just knows that she'd love them!! 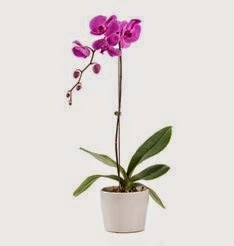 I'd definitely choose the Purple or White Phalaenopsis Orchid. My kids bought me a similar orchid 2 years ago for Mother's Day, and I somehow managed to over water it, and it's looking a little sick now. I'd love a second chance, and I promise I won't let it die! I'd also purchase the Vivid tulips in a glass vase for my Mum, who is in the middle of her radiation treatment for breast cancer. She's gone through so much these last 6 months with ops, chemo and now radiation, she deserves something to brighten her little room up in the Cancer Council Lodge in Brisbane. ps I love the fresh flowers website (thank for the introduction). It's so beautiful and easy to use. I'll definitely be using them in the future!